Downtown Las Vegas is our favorite part of town, and the bars are our favorite part of downtown! However, we must admit there are some really great spots in Downtown Las Vegas that deserve to be known even if they don’t serve drinks. A whole new DTLV community has started thriving! At the risk of sounding like hipsters, we’re telling you to take the time to find the bookstores, coffee shops, and restaurants that are off the beaten path of Fremont Street. You’ll be glad you did. This bookstore is much more than a bookstore. The Writer’s Block sells books, but they also host free writing classes and other events for the community. Students and writers are welcome to host book clubs and independent writing sessions in their space. At The Writer’s Block, you can attend their monthly Local Author Showcase, featuring self-published and indie authors. It’s an opportunity for independent authors to get their writing to the public and for the public to get ahold of brand new work. With their passion for all music on vinyl, 11th Street Records buys, sells, trades, and even records in their store. The heart of their operation is returning the record store to its place at the center of the music community. Like The Writer’s Block, 11th Street works to sell records for independent artists. 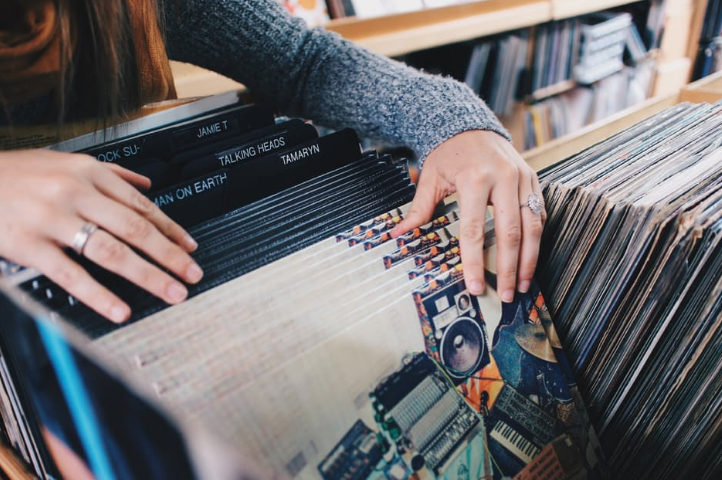 They host vinyl listening parties, in-store performances, and in-studio performances. After a night in dimly-lit bars, it’s refreshing to start the day with coffee and breakfast in a bright spot. With seven brewing methods and authentic Latin-inspired comfort dishes, Makers & Finders is here to meet your hangover needs! Let us show you around all the nooks of Downtown that you’ll definitely miss without us. Book your spot to enjoy pub crawls to Downtown Las Vegas today!